I love Star Wars! I love short stories! Together this anthology was a win-win for me. Captain Raymus Antilles holds onto hope to the very end that his ship carrying Princess Leia away from the Battle of Scarif will escape from the Imperial Fleet. A fun tongue-in cheek story that will be appreciated by the many of us who feel that paperwork is endless at their jobs and in their homes. Arvira, Imperial Logistic Datawork Officer, knows her forms and helps Bolvan, the gunnery captain who let a certain escape pod go unchecked to Tatooine, cover up his mistake with layers of reports. Am amusing tale of little Jot, a Jawa who doesn’t erase R2-D2’s memory like he typically does with other droids for resale. By watching other droid’s chips he sees there is more to the universe than the gritty Sandcrawler he works on. We meet Reirin, a female Tusken Raider, who is willing to leave the safety of her clan for the mysterious charms of a green crystal she finds. A surprisingly poignant story about R5-D4, the red droid that Uncle Own picked first from the Jawas. 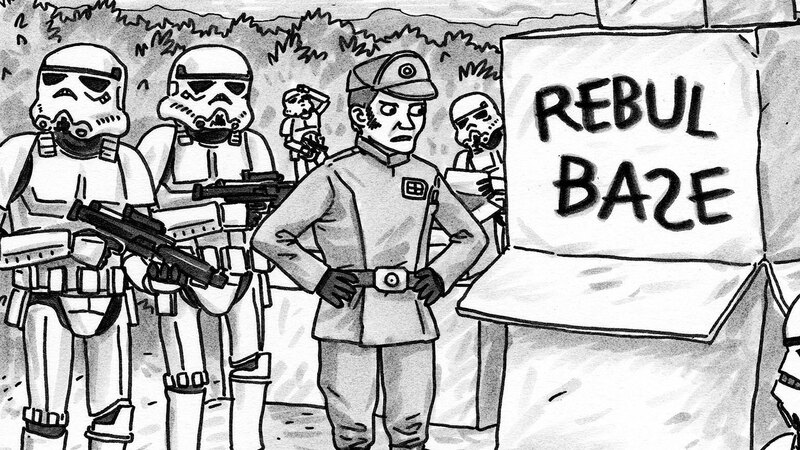 His malfunction was truly a sacrifice made for the Rebellion. It was fun to start getting outsider’s views of Luke as we first meet him in A New Hope. Three young Tuskens want to make names for themselves in their warrior society. They meet Obi-Wan, whom they consider a wizard, and Luke whom they call Sandy Hair. Obi-Wan receives a visitor and because of their conversation realizes he needs “to think of death as only the beginning of wisdom”. While I was surprised at this entry, as he formally was not part of A New Hope, the visitor’s wisdom would have always remained with Ben. LOVED this story! Author Meg Cabot gave Aunt Beru a beautiful backstory and a voice in how she loved raising Luke. I was tearing up as I listened to this story, for Beru was more than an aunt, she was a MOTHER to him and should have been recognized more for being the loving woman who shaped Luke into the man he became. Greedo…and his last hours before his fateful encounter with Han Solo. A character study of Wuher, one of the bartenders at the cantina. My biggest take-away from this story is learning that Ackmena, the barmaid from the Star Wars Holiday Special, is now canon! When are we going to leave Tatooine??!! Why was the worst story also the longest story? I did not care one whit about the crime planned to take place at Chalmun’s Cantina. Luckily the next story balances the previous story by being short and fresh. We learn Boba Fett’s recollections of what happened between Han and Jabba in Docking Bay 94. Twins Brea and Senni Tonnika live on the edge of society, unwillingly trapped at Jabba’s palace. The sisters begin to scheme how they can leave the sandy planet forever. Are we STILL stuck on Tatooine??!! Not every bounty hunter is successful and suave, and Long Snoot skulks along the fringes hoping to pick up easy information he can then pass along to the Imperial Troopers hoping for enough credits to reunite with his family. Stormtrooper TD-7556 relates his recent mission on Tatooine in an incident report form. Turns out he was one of the soldiers who sent Obi Wan, Luke and the droids on their way- “These aren’t the droids you’re looking for”. This stormtrooper is no mindless drone, he is funny and sarcastic and the story was a fun read. General Tagge uncomfortably witnesses Lord Vader’s reaction and choke hold of Admiral Motti. Previously believing the Empire’s greatest weapon was the Death Star, he now realizes it is Vader himself. Admiral Motti gets his rebuttal and blusters about his importance to cover up his shame of being humiliated in front of other staff. He refuses to see Vader’s power and relies entirely on the Death Star’s technology. The indomitable Leia unknowingly influences another Imperial soldier to rethink his alliance after he witnesses her strength when Alderaan is destroyed. Having two stories like this was over kill. I have huge Leia love, but to have two soldiers completely change their ways just by observing her was too much. A heartbreaking look at the last hours of Breha and Bail Organa. Despite them realizing their planet’s impending doom, they cling together in love and with hope in their hearts that their daughter is safe. 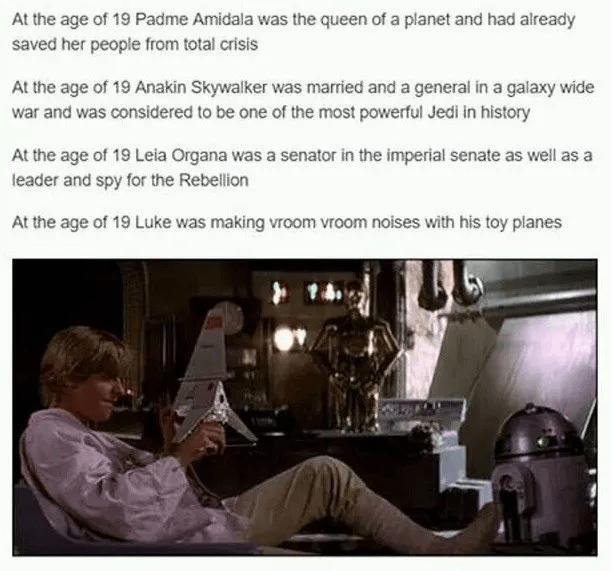 On a side note- I had a hard time imagining Leia growing up there. Things at the palace were so ornate and orchestrated, instead I thought of Padme. Evil Empire leaders are taught not to trust anyone else and to only look out for themselves- but if Tarkin and Krennic had been able to work effectively as a team, perhaps then they could have been more powerful than Vader. I appreciated the shoutout to Galen and Jyn Erso at the end. Aphra is a dubious archaeologist who skirts the law on Dantooine. Captured by stormtroopers she talks her way out of trouble. She was an unfamiliar character to me, but her fleshed out backstory hinted that she plays more of a role in Star Wars canon, so I wasn’t surprised to realize she can be found in many Star Wars graphic novels. .
Why again are the worst stories the longest stories? Told from the perspective of a mouse droid found on the Death Star. One of the stormtroopers from the Tatooine unit that let the droids by, due to Obi Wan’s mind tricks, is called up to report once that data has been reviewed. He knows he’s in for it, but remains true to the Empire until the end. When a creature is taken from their home planet and taken to the Death Star, I wondered where in the world the story was going. Then I realized it was the garbage disposal monster and I was intrigued. I found this story strangely appealing! This story had me torn. While in one way I liked having more time with Obi Wan, his after life is a delicate subject matter to tackle. There was one little remembrance that I enjoyed- a missing piece of his lost years at Tatooine when he interacts with a young Luke and his Uncle Owen. An interesting soliloquy from Palpatine’s perspective that I first listened to and then read to get the full power of his thoughts as it was written in poem form. Told from the perspective of Dex, a Rebel fighter pilot, during the battle of Yavin 4. This was an action packed story that had an expected sad ending for Gold Two. Not every Rebel pilot gets to fly when there are not enough ships and Col, aka Fake Wedge (to his chagrin), is not chosen. He is furious at not being picked when newbie Luke Skywalker is selected, but as most of the pilots die, he survives for future missions. Oh, Biggs Darklighter, we barely knew you…and you seemed so appealing! If only you and Luke had been able to reunite but your heroics helped ensure Luke’s victory. Chief Nera Kase, an integral part of the Rebels for her mechanical knowledge, watches as the pilots and ships she cares for head into battle. Not every body can be the flashy hero, but her behind the scenes work is an heroic as any pilot or leader’s contribution. I always root for the solid characters, who often don’t get their due because they are quiet and unassuming. All good leaders should have contingency plans, for even the best laid plans can go sideways in a moment. Mon Mothma is no exception, and the Rebel victory gives her renewed vigor for the cause. With the new Solo movie coming out, I couldn’t help but think of our favorite caped scoundrel as being a mix of Donald Glover and Billie Dee Williams. The audio version had this guy voiced perfectly, as he wonders why in the world his fellow rogue Han would risk his life. Captain Miara Larte and her crew witnesses the medal ceremony for Luke, Han and Chewbacca. While perhaps it can be argued it was a premature celebration, she feels that the joyful occasion is needed in a time of sorrow. This character was another one I was unfamiliar with, as she is from the Ahsoka book that I have not read yet. Awesome ending! I adored the two Whills scholars debating how to chronicle the Star Wars saga. They debate both where to start the story (Episode IV!) and the wording that we have grown to love. This book is a must read for all Star Wars fans! It strengthened and filled in gaps in the narrative and this new canon was a treat from beginning to end. Hi Nancy, I remember seeing word of this book when it was released but again couldn’t afford a copy. I don’t know if you are aware but Christie Golden also wrote a tie-in Star Wars novel called “Dark Disciple” and Pablo Hidalgo is one the leading members of the Disney/Lucasfilm creative department (he is very prominent on Twitter I am led to believe) The Laina story almost sounds like the story of Galen Erso’s holograph message to Jyn Erso in Rogue One. I got both the copy of the book & audio from the library- I can’t afford to buy every book that catches my fancy! As with every anthology, there were a few duds, but I enjoyed the collection as a whole plus I was introduced to some new authors and SW characters. Thanks for the review Nancy. I’m intrigued by some of those stories from so many character perspectives. A cool idea to make an anthology like that. It was a fun idea and was great for world building! I enjoyed getting a new perspective or angle on scenes that we only saw one way through the movie. I really should read this! I’ve heard such good things. I think you’ll really like it! Every collection like this will have stories you will either love or hate, but as a whole, I found it a very solid anthology. I was unsure of this book when it came out but, after getting it as a Christmas present and giving it a go, I was pleasantly surprised too! It made me nostalgic for the ‘Tales of the Bounty Hunters’ or ‘Tales from Jabba’s Palace’ short story collections I read as a kid. It was a clever idea too, basically paralleling the movie plot from the perspective of side characters. Maybe they didn’t need all forty stories (I’d’ve been comfortable with them cutting five-to-ten of them, based on my own personal preferences), but it was still a really enjoyable read. I LOVED Nera Kase! As you said above, it was such a moving tale. The other’s that really stood out to me where Breha and Bail, Aunt Beru (you’re right! it was so good! ), Claudia Grey’s story, and John Jackson Miller’s. I love that Miller’s story features A’Yaark who was central in his ‘Kenobi’ novel (which, in my opinion, was one of the absolute best of the EU books) and gave us a glimpse of the Tuskens as an actual culture/people. The Yoda one was…interesting too. I shared your frustration over how adamantly he was against training Luke but the idea of planning to train Leia and then getting Luke was intriguing as well. I don’t know. I guess we’ll see what joins my head canon once a few months have gone by after reading it :). I did not realize that A’Yaark was found in the Kenobi book! So that makes three characters in this collection that weren’t in the movie, but can be found in books. I’m kind of torn if I like that or not- since I haven’t read many Star Wars books (EU or new Disney canon) I feel I’m at a disadvantage but yet it brings in more depth and recognition that the Star Wars universe expands beyond the movies. I also agree that some stories could have been eliminated, but the entire premise was 40 stories for 40 years. Oh well, in any anthology of short stories or poems, there are always ones that speak to a reader while others fall flat. I was torn about including characters from the EU and Disney Canon too. On the one hand, it was fun to see people like A’Yaark and Aphra and consider where they were and what they were doing during ‘A New Hope.’ But on the other hand, I loved the idea of reading and thinking these were all people who I could see in the background when I watched the film! Or they were characters who were clearly present in spirit (like Breha and Bail) if not on screen. Regardless, by and large I thought it was a really creative idea, to run it parallel to the film like that! I’ve read a lot of Star Wars novels but I’ve never read one quite like this. It was fun.